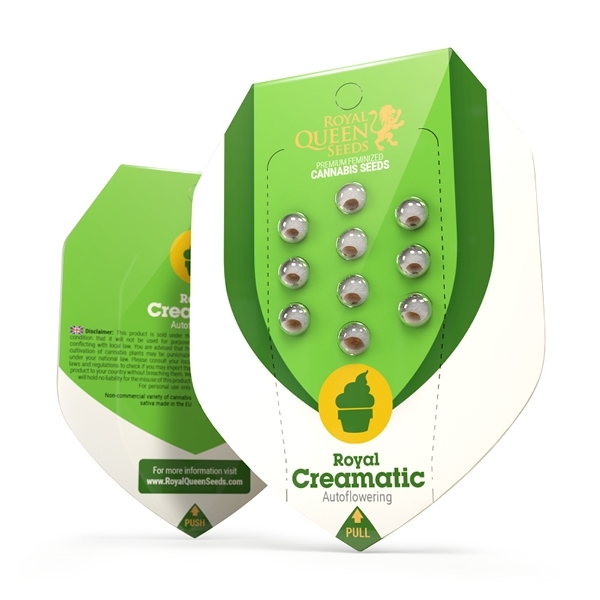 As the newest member of the Royal Queen Seeds autoflowering seed collection, Royal Creamatic brings a sensational new flavour to the auto family. 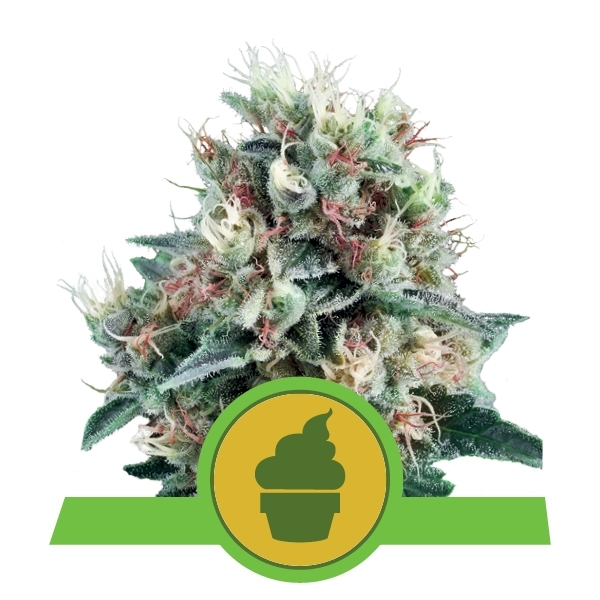 We took our best ruderalis genetics and crossed them with Honey Cream to create a next-level-delicious strain that can be grown quickly and with ease. Cream Caramel is a popular Spanish indica deriving from a cross of BlueBlack, Maple Leaf Indica, and White Rhino. 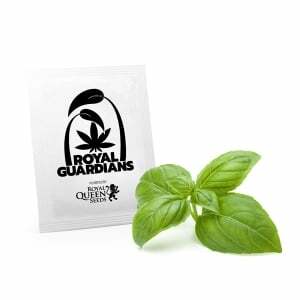 Known for its intense flavour and strong physical effects, our Royal Creamatic channels the iconic features of the original photoperiod strain into an autoflowering cultivar that shines with a classic sugary-caramel aroma, but is much quicker and easier to grow. 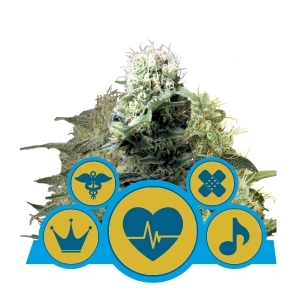 Royal Creamatic is considered a medium-sized autoflowering feminized variety, which means you’ll have only bud-producing female plants and no unwanted male plants taking up space. Generally, plants will grow one big main bud and just a few small side branches. This is a powerful plant that flowers quickly, growing to a maximum height of around 70–100cm. 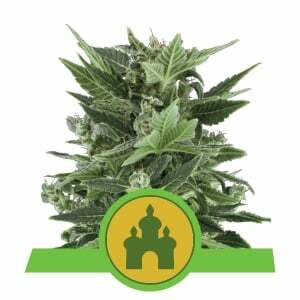 This makes it ideal for smaller indoor gardens and the sea of green (SOG) method. 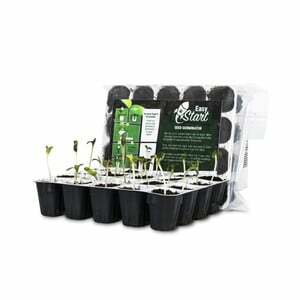 Despite its compact stature, Royal Creamatic can produce 165g/plant if treated right outdoors, and up to 450g/m² indoors. 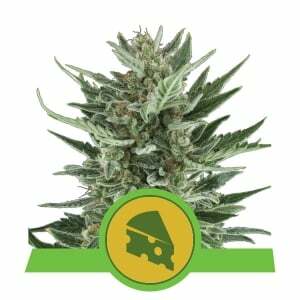 Ready for harvest in just 8 weeks after planting the seeds, this is a top-quality autoflowering variety that produces dense, resin-covered buds with a great taste and a heavy, relaxing physical effect. 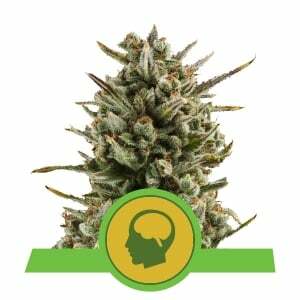 With a hearty yet manageable THC content of 15% and medium levels of CBD, this strain is perfect to use during the evening or on days off.